and scenes for all types of videos. Subtitles ensure the viewers get the message of video. In animiz, just click to add subtitles to each scene of the video. 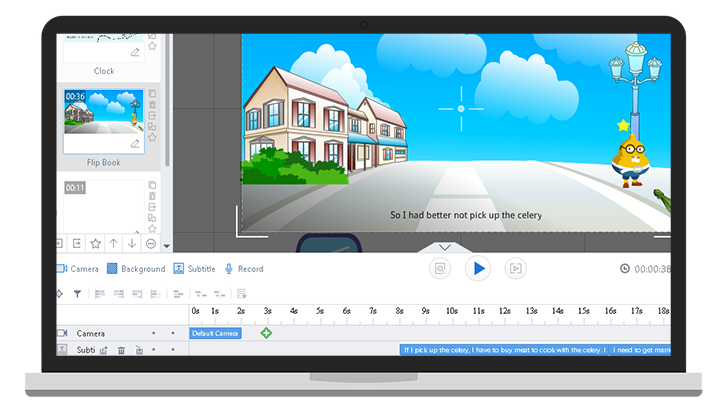 You are able to have subtitles in different languages, providing many viewers with the ability to understand the content of the dialogue in the video. In addition, the position of subtitles can be changed to make sure them look at their best. Adding elements to my library ensures you can find and reuse the element in a breeze, making it more convenient and faster to create a video than ever before. 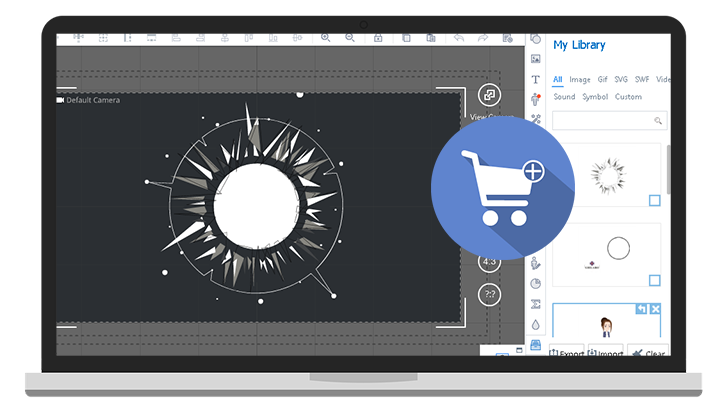 From images, audios to video, add any piece of element on the canvas to my library with simple clicks. You can also enter title and descriptive description for these elements. 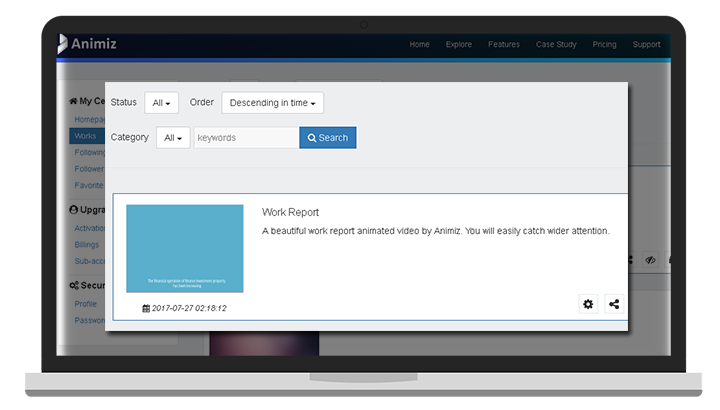 A creative dashboard is designed for you to take a precise control over your video projects. On the dashboard, you can find some options to rename, download, share and delete the video project you have uploaded to the cloud. There’s even a search feature to help you find the project you are looking for! 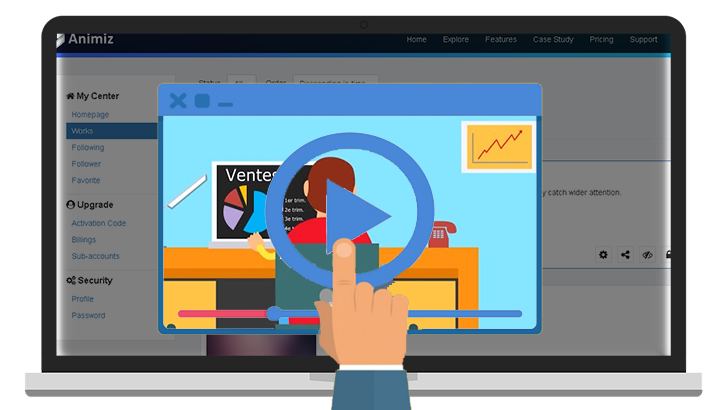 When you publish the video to the cloud with animiz whiteboard video software, one of the most favorable things you can do is to customize video cover, which offers you a chance to catch the audience’s attention, giving them a reason to click to watch your video. Feel free to upload a beautiful image from your local file to replace the default video cover.